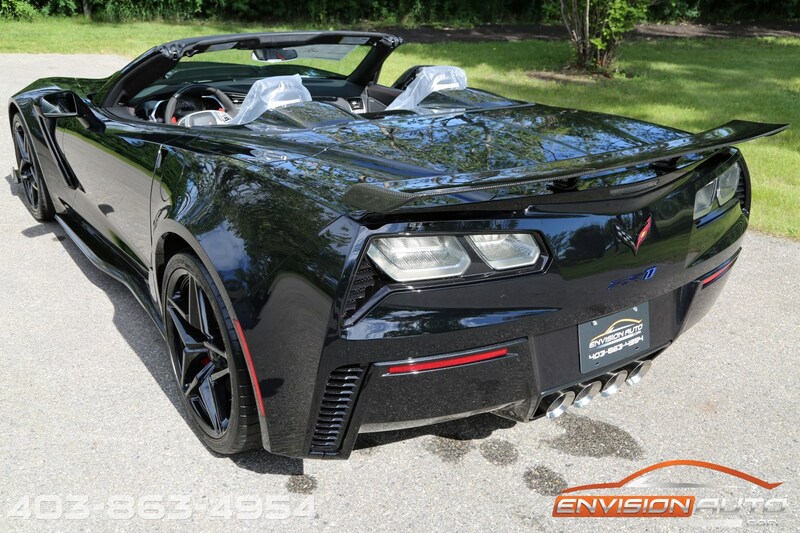 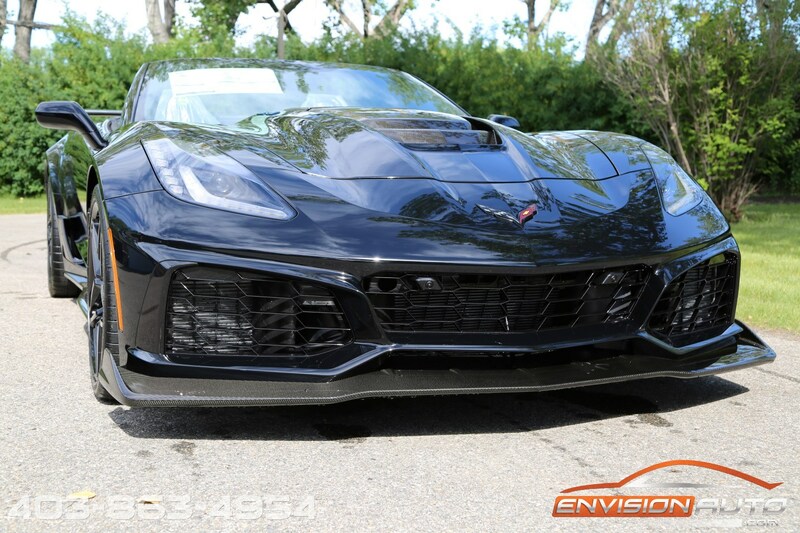 2019 Chevrolet Corvette ZR1 Convertible 3ZR \ 7 SPEED MANUAL \ BRAND NEW! 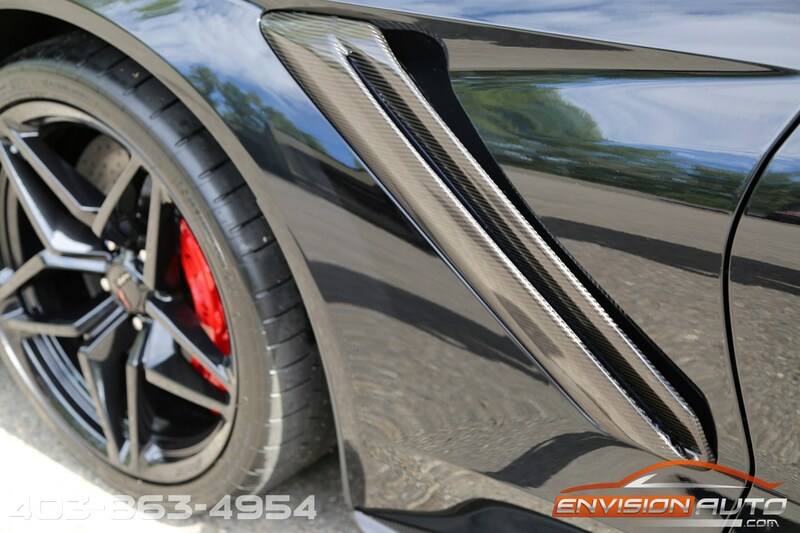 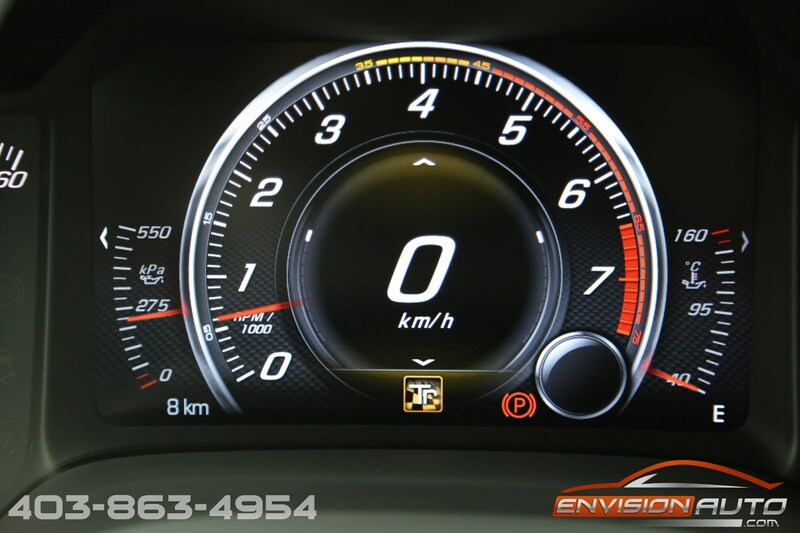 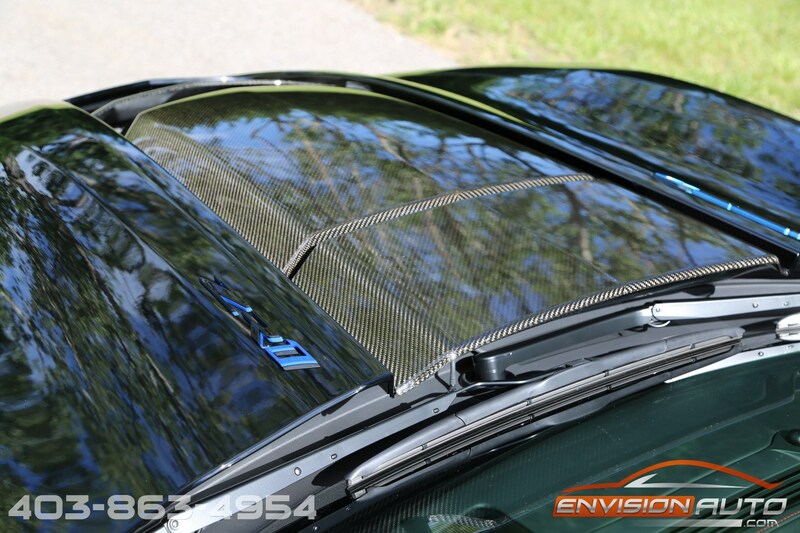 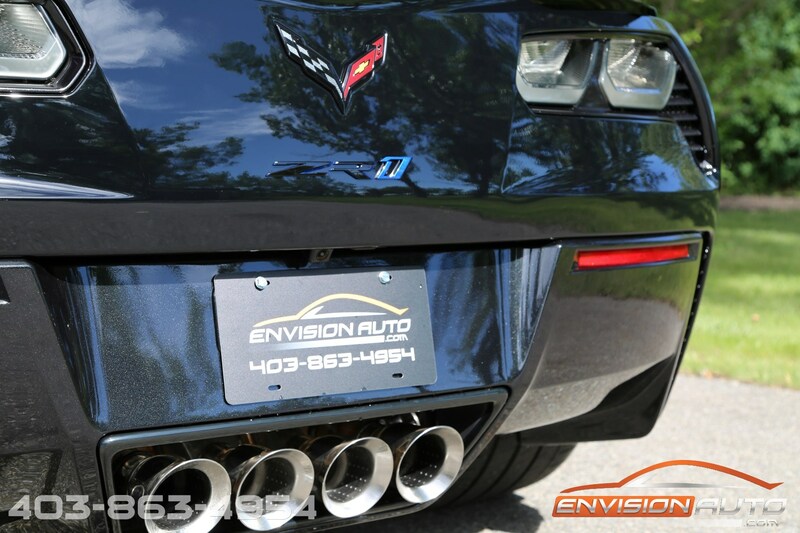 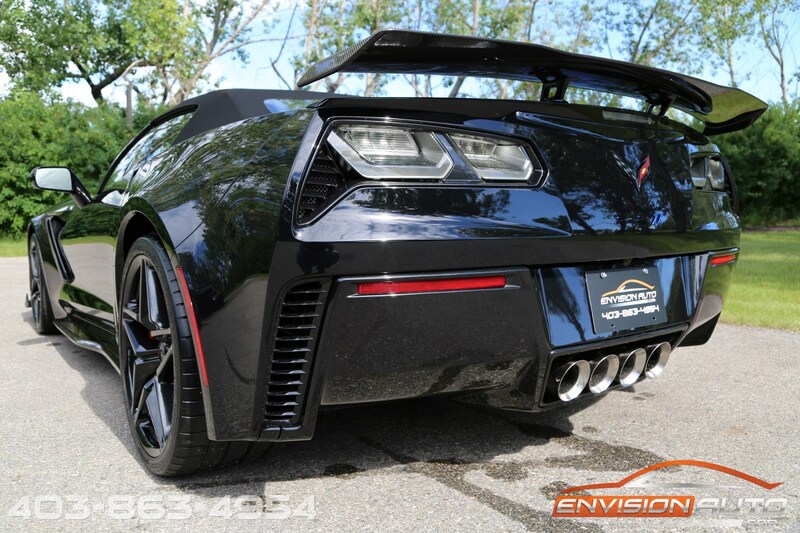 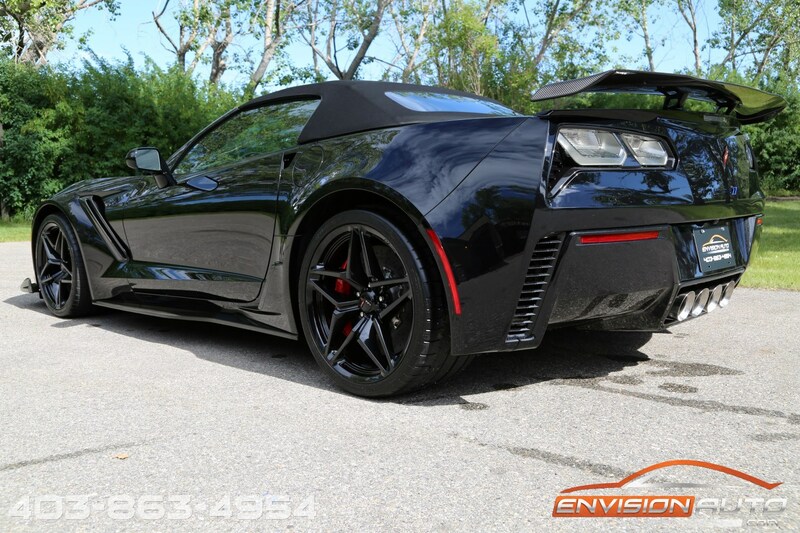 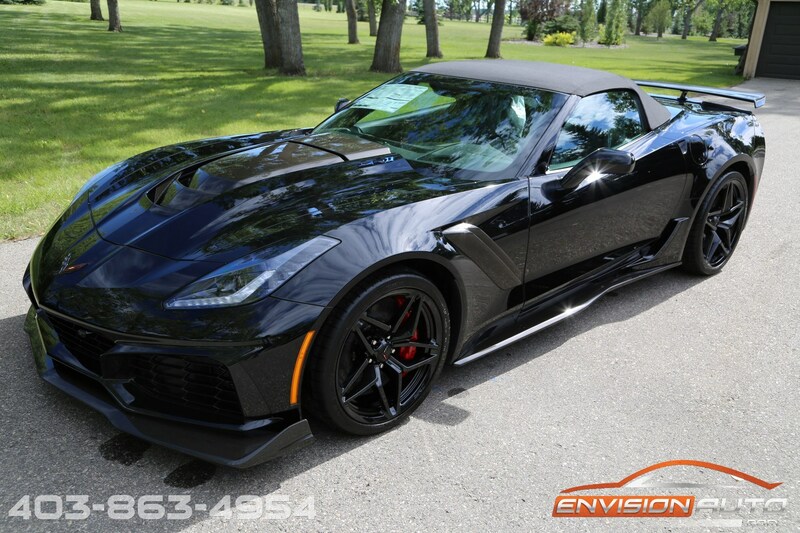 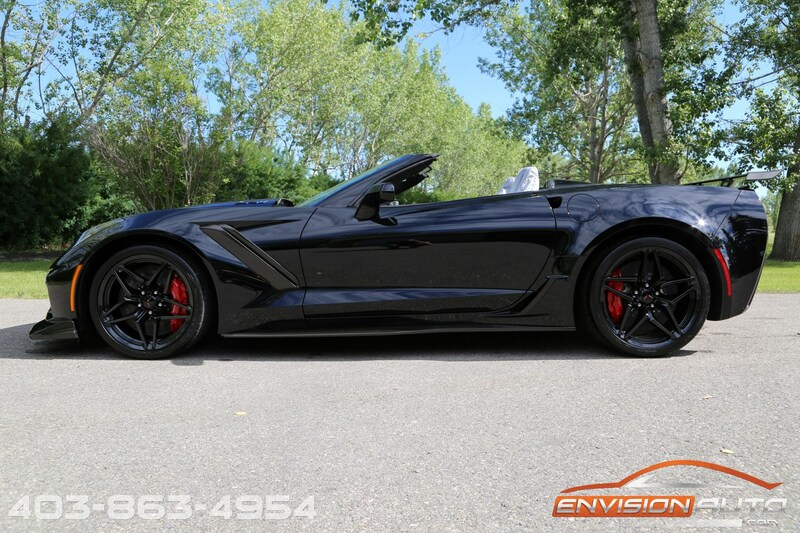 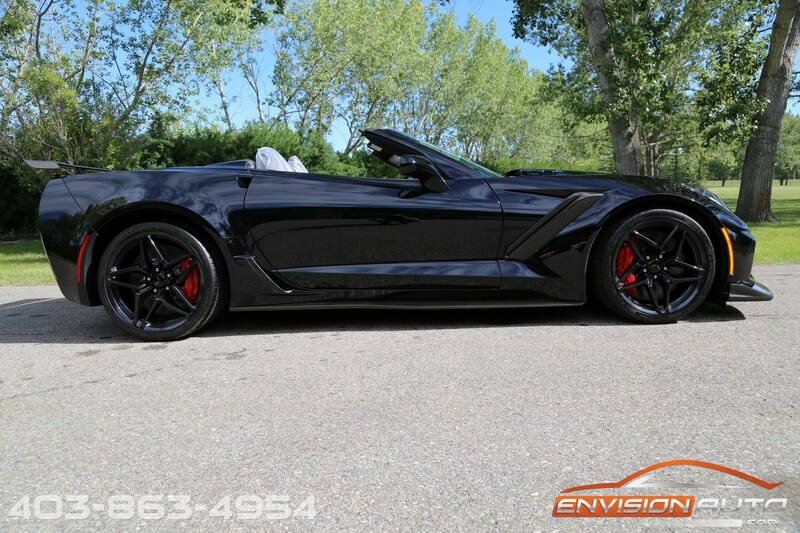 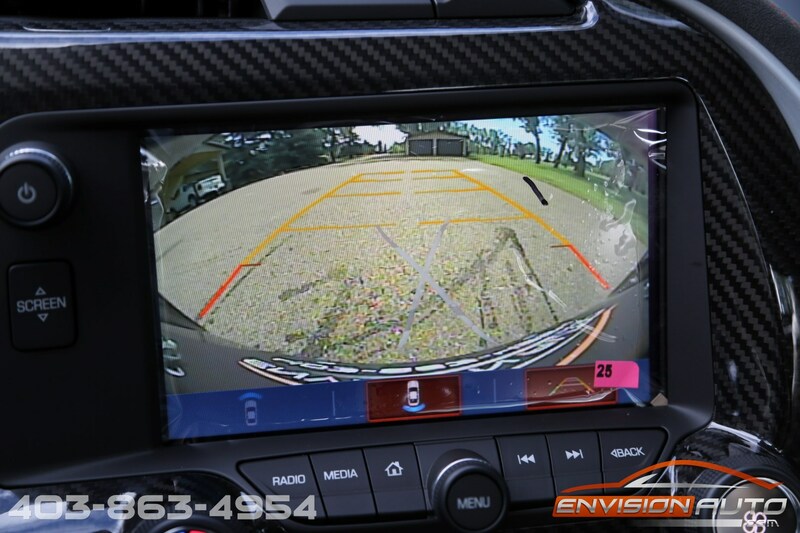 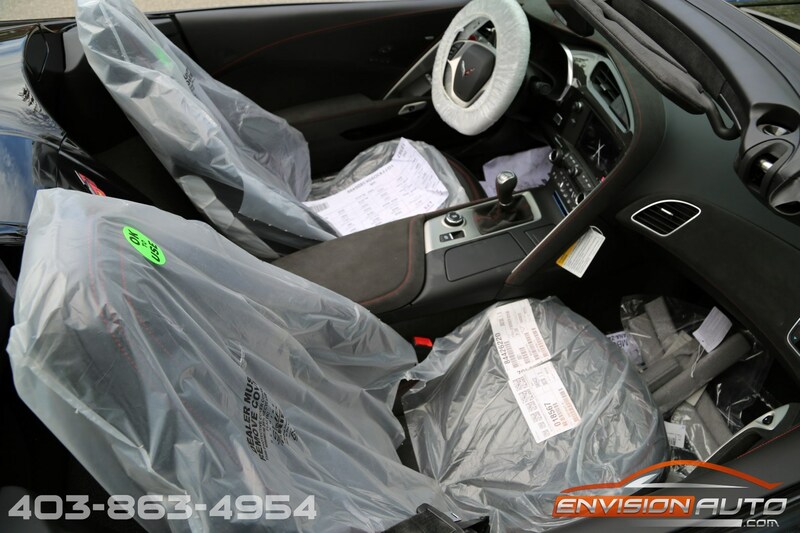 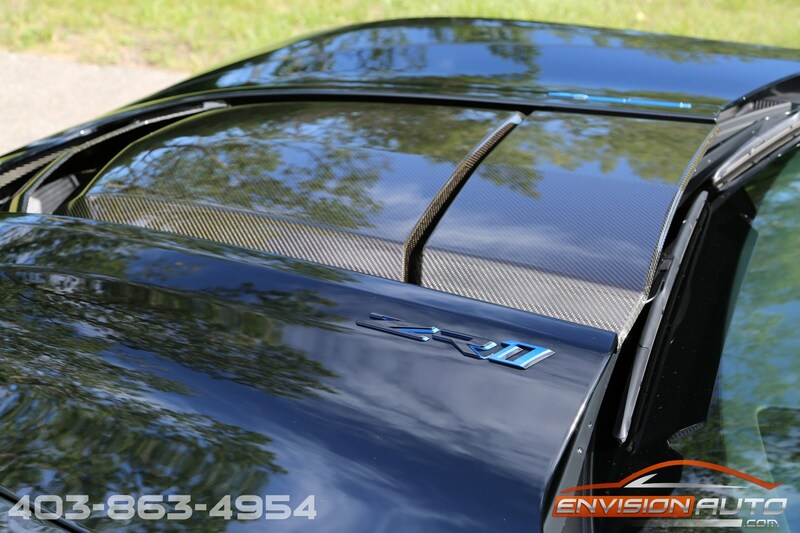 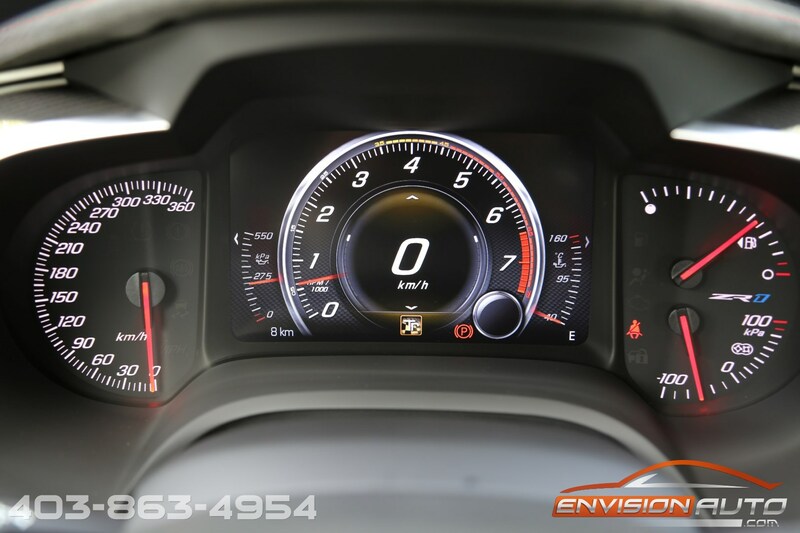 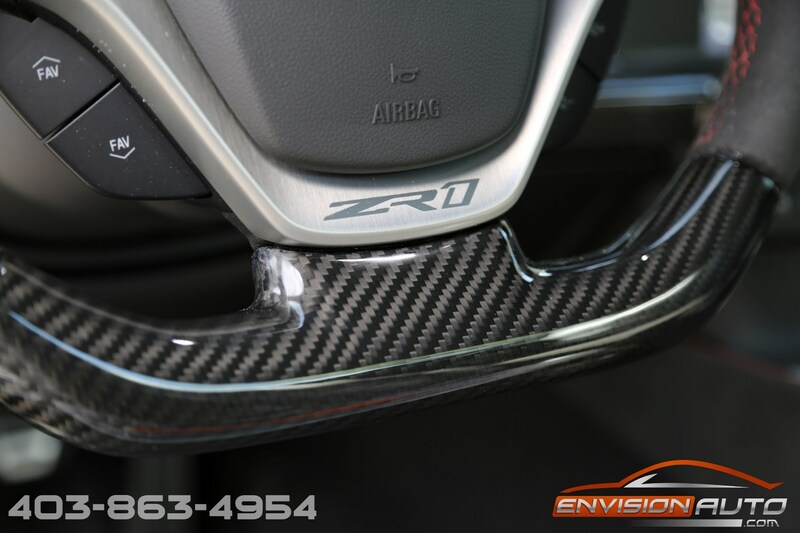 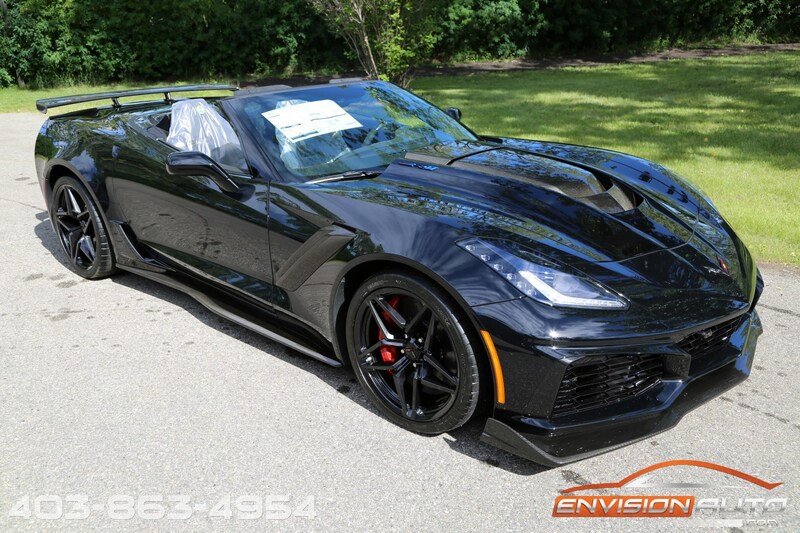 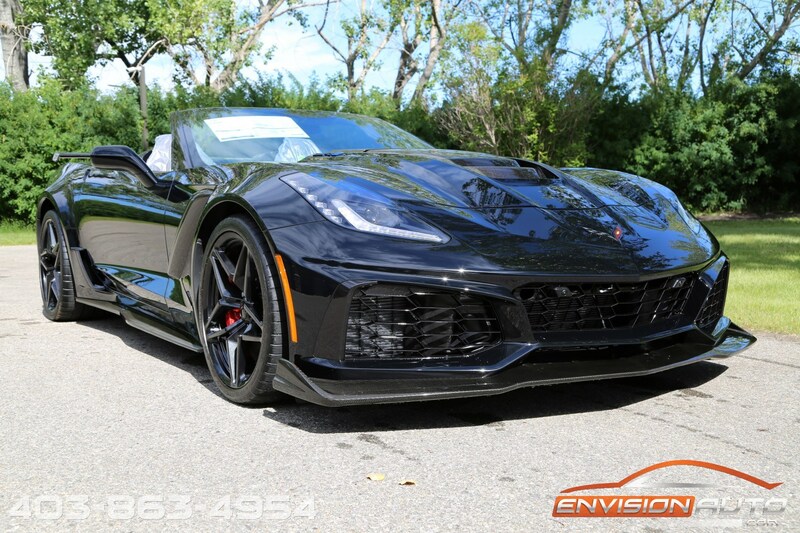 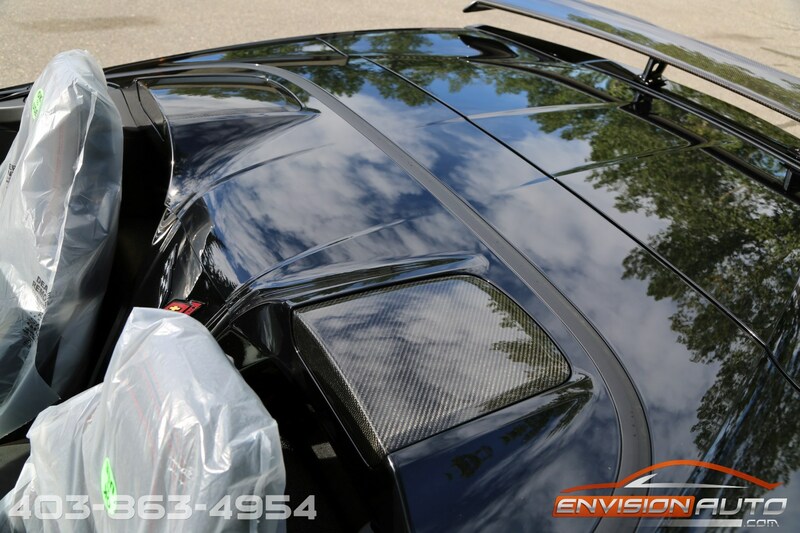 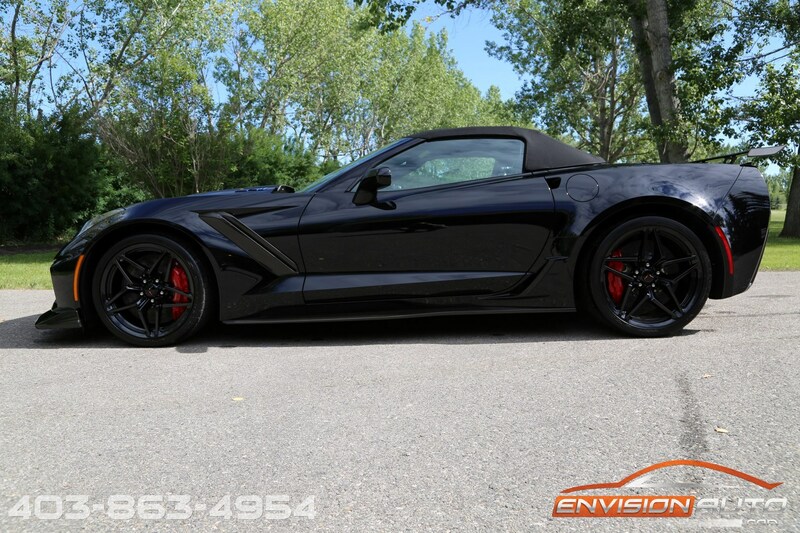 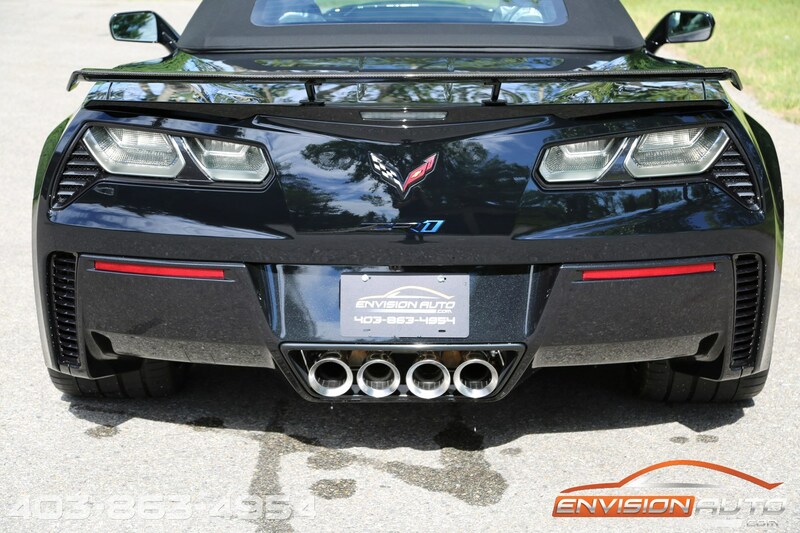 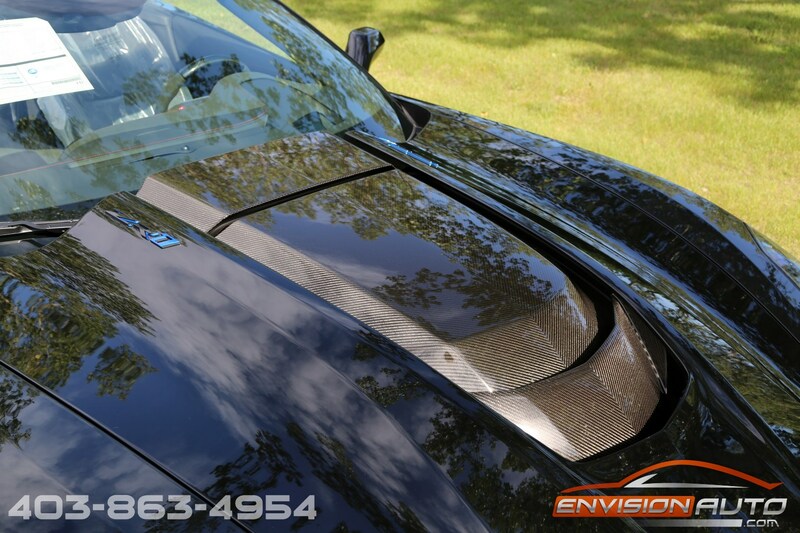 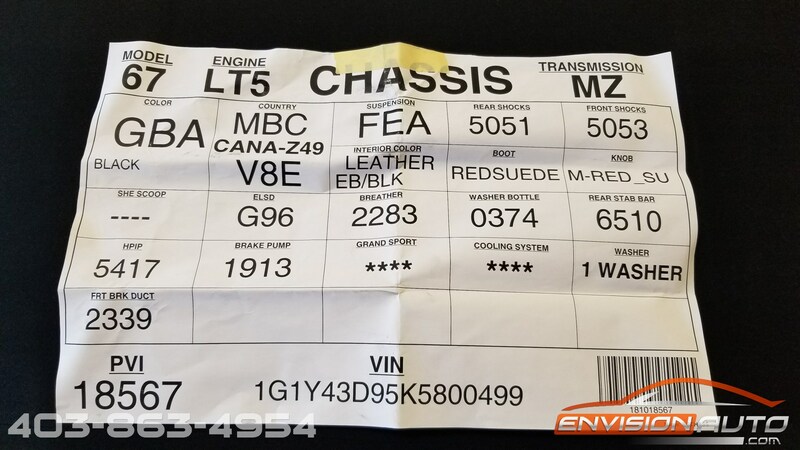 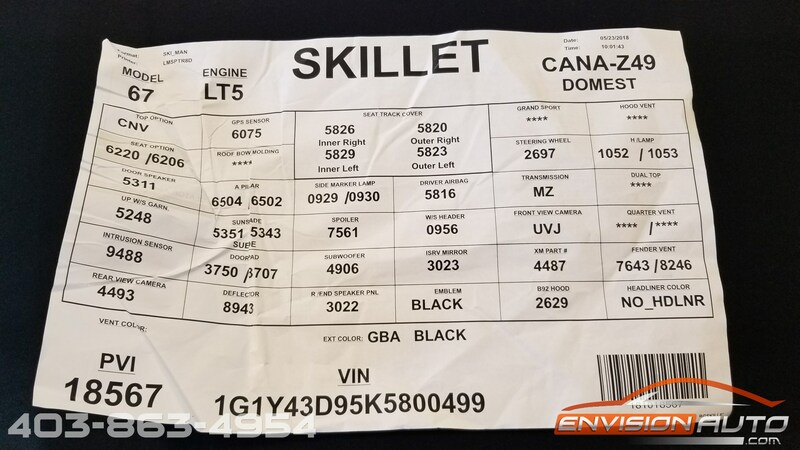 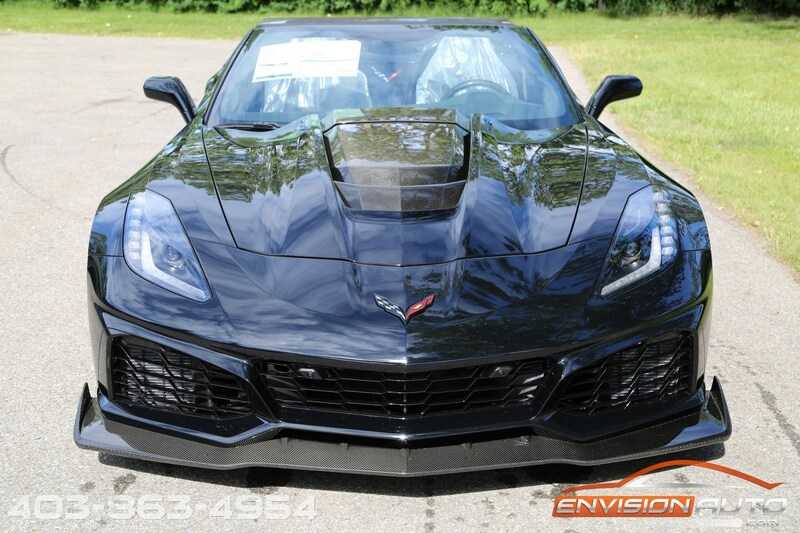 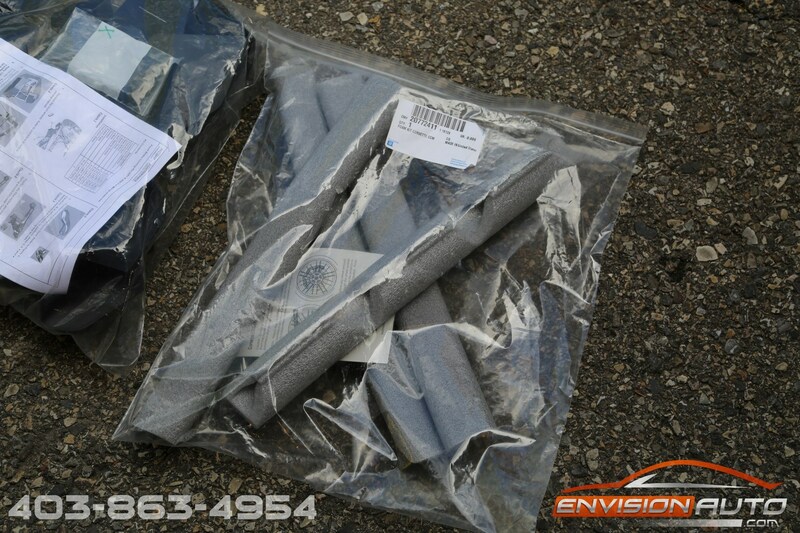 More Details : – BRAND NEW & UNREGISTERED \ LANDED IN CALGARY & READY FOR DELIVERY \ RARE ZR1 3ZR CONVERTIBLE \ TRIPLE BLACK \ 7 SPEED MANUAL \ LT5 755HP & 715TQ \ 8KM ON THE ODOMETER!! 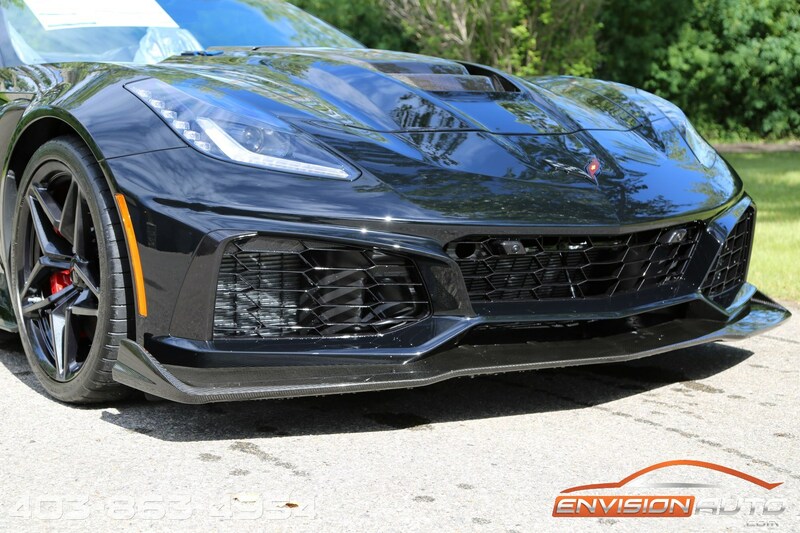 Impossible to get your hands on one, but here it is! 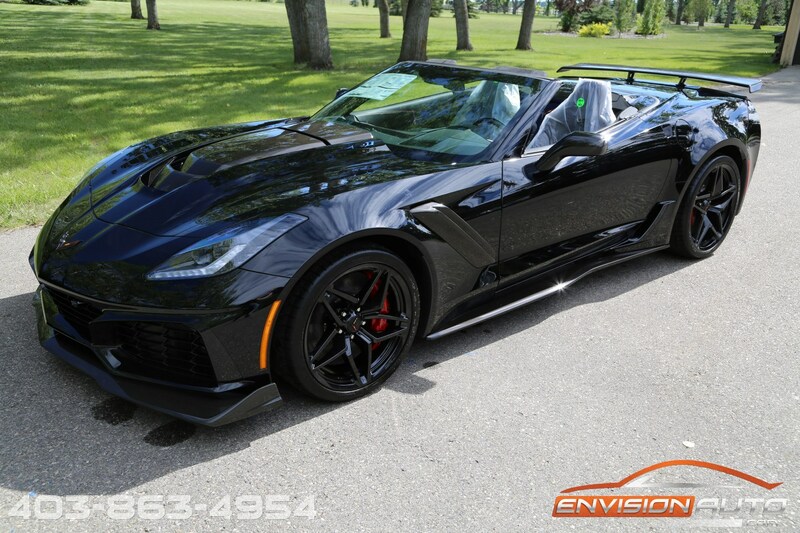 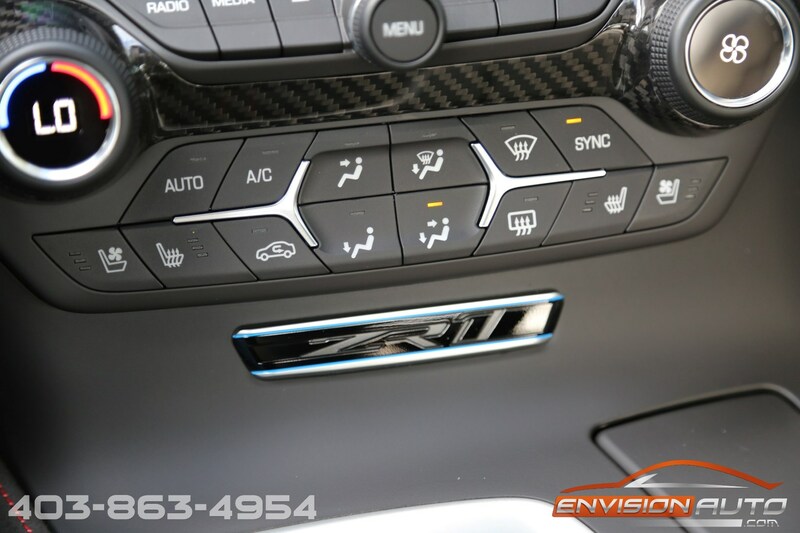 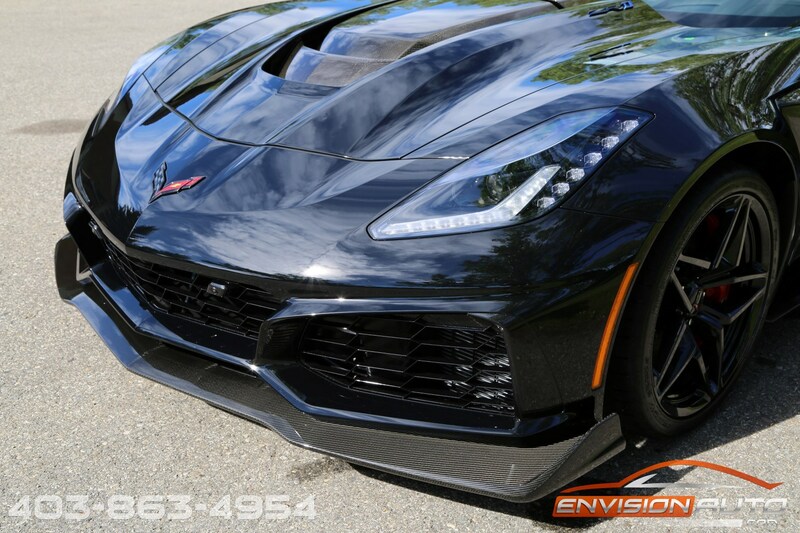 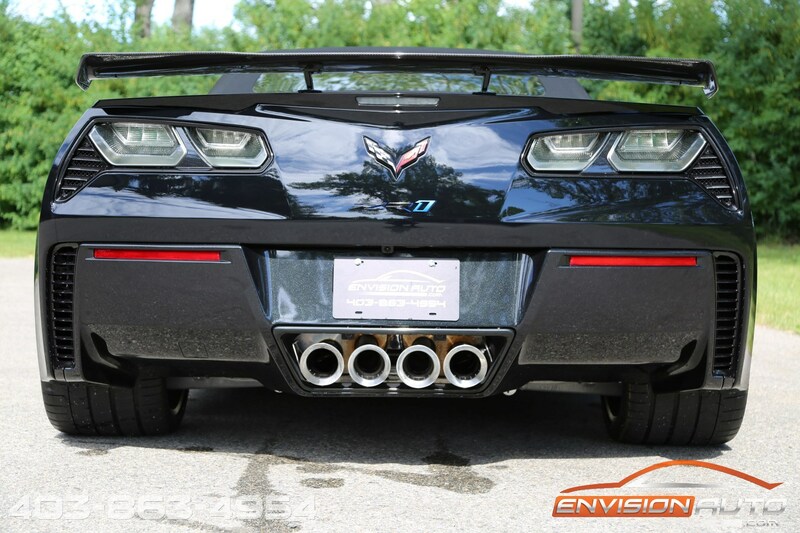 One of approximately thirty ZR1’s to be sold into Canada for 2019! 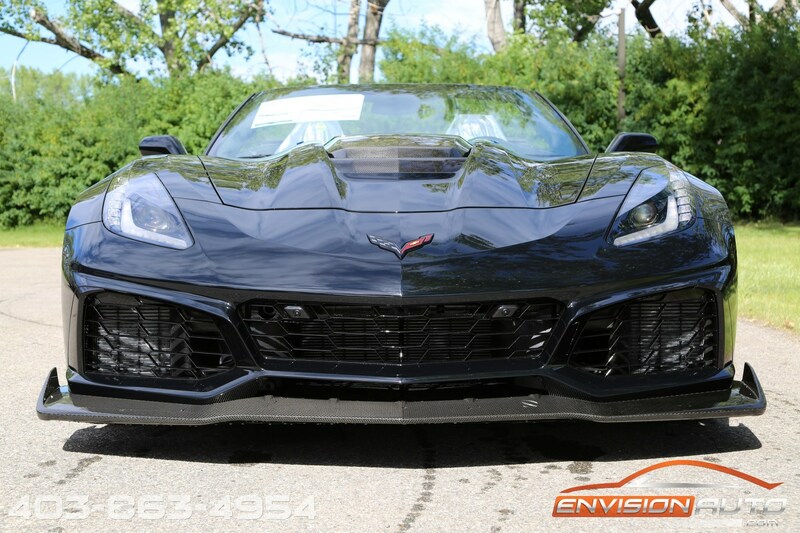 Beautifully optioned with the top trim level 3ZR option package, this ZR1 Convertible is equipped with the 7 Speed Manual gearbox and currently has only 8 kilometers on the odometer. 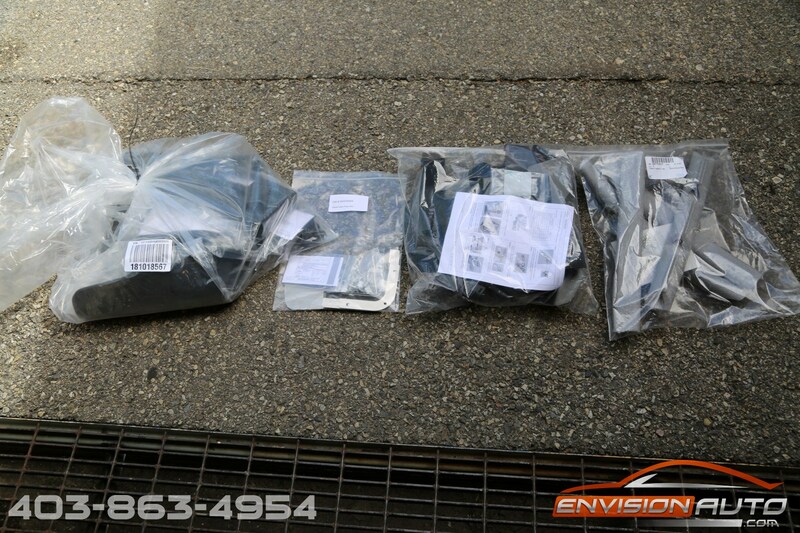 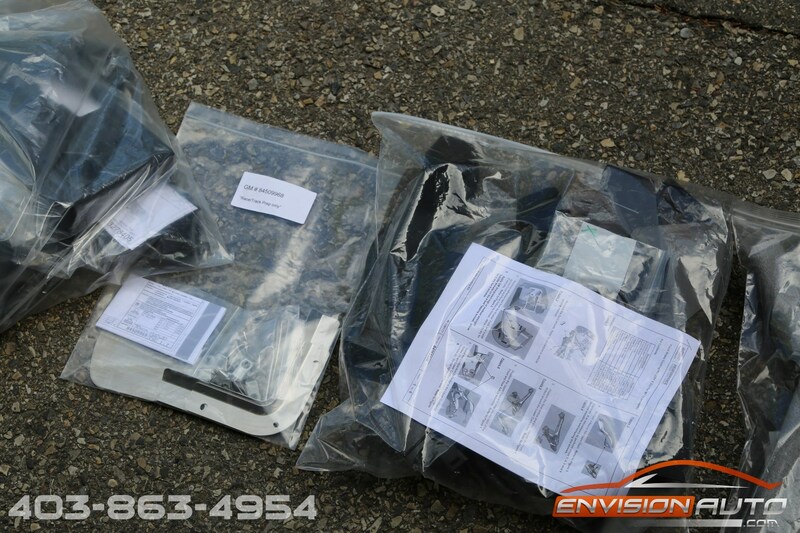 All original accessories and plastic covers are still intact and unopened. 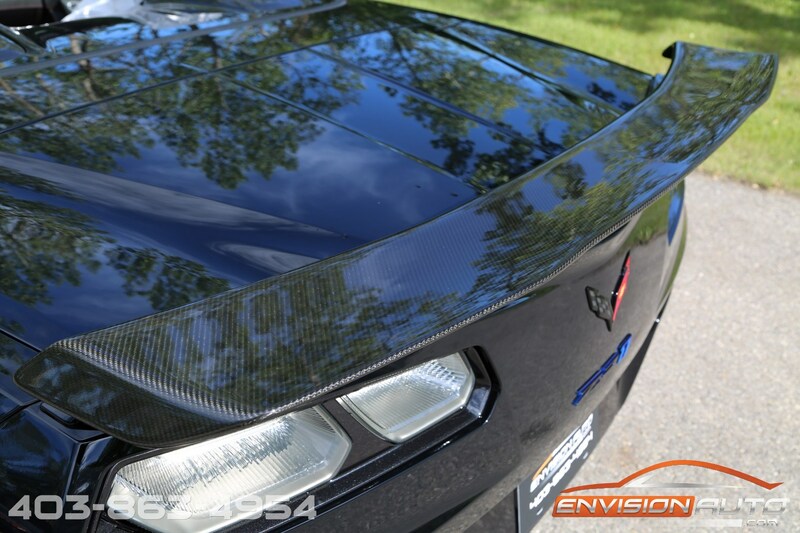 Not a flaw – not a mark – absolutely immaculate and brand new. 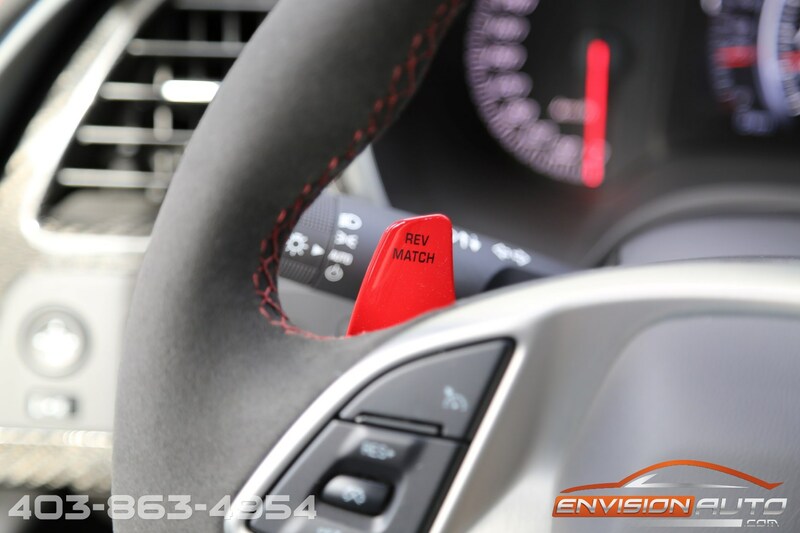 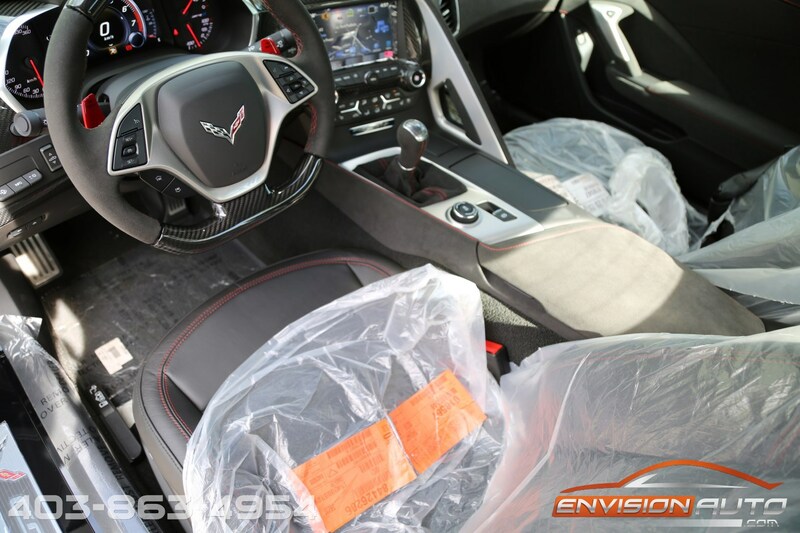 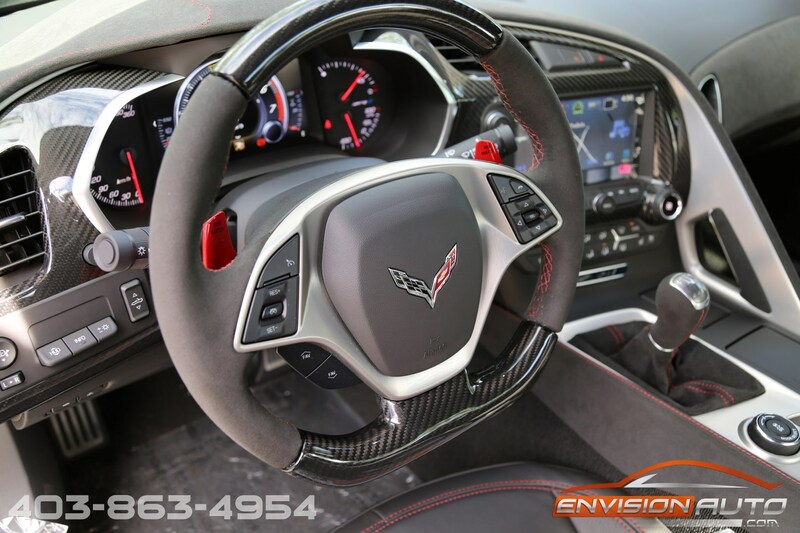 The full leather interior is complemented by the sueded microfibre inserts and red custom interior stitching. 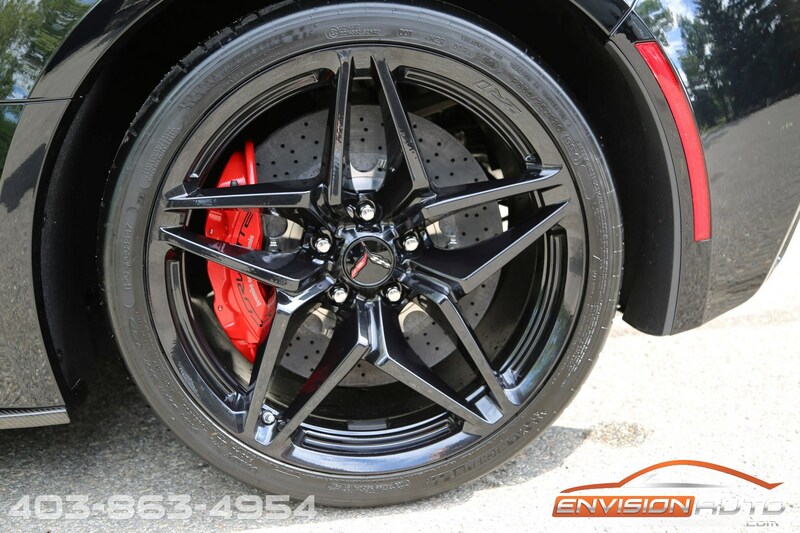 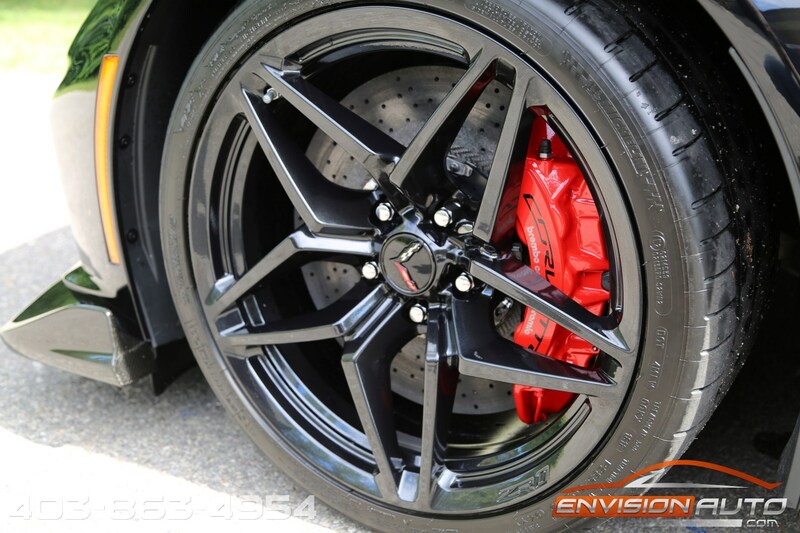 ZR1 Carbon Flash painted aluminum wheels and red brake calipers that highlight the massive carbon ceramic rotors round out the factory options.